When it comes to choosing a new flooring, there tends to be more decisions to make than you initially think. Here at Floors of Stone, we appreciate that it is not always easy to decide on a flooring, as there are so many options to choose from. Once you have decided which material you would like to go for, there is still a whole host of things to think about. One question we get asked a lot, is what are the differences between our different finishes? Our main finishes are Polished, Honed, Tumbled and Brushed. Therefore, I have put together a quick and easy 5-minute guide to these, to help make your search a little bit easier. Polished is the one of the most well-known finishes. A polished finish is usually associated with marble. But, if marble is not quite your thing, we also offer polished porcelain, which acts as a wonderful alternative. One of the best qualities of a polished finish is that it can add a contemporary twist on to any home. If you are aiming to achieve a luxe-modern style look, polished flooring may be the way to go. Alternatively, if you love all things retro, a polished finish may be the perfect addition to an art-deco inspired home. A polished finish is one of the best ways to spruce up a living space and add a touch of glamour to your home. Due to its timeless appeal, polished finishes on floors have been loved for decades. Polished flooring has the ability to act as either a statement piece or just to simply enhance the rest of your living space, which is why our customers love it. Honed flooring is essentially a smooth matt or satin finish. It is not as well-known as polished flooring; however, it is a great choice if don’t want to go for fully polished, but you are still seeking a contemporary look. Due to the satin feel, a honed finish can be a great option for indoor spaces and are slightly easier to clean than more textured finishes. A honed finish is loved for being beautifully simple, contemporary and a practical addition to any home. 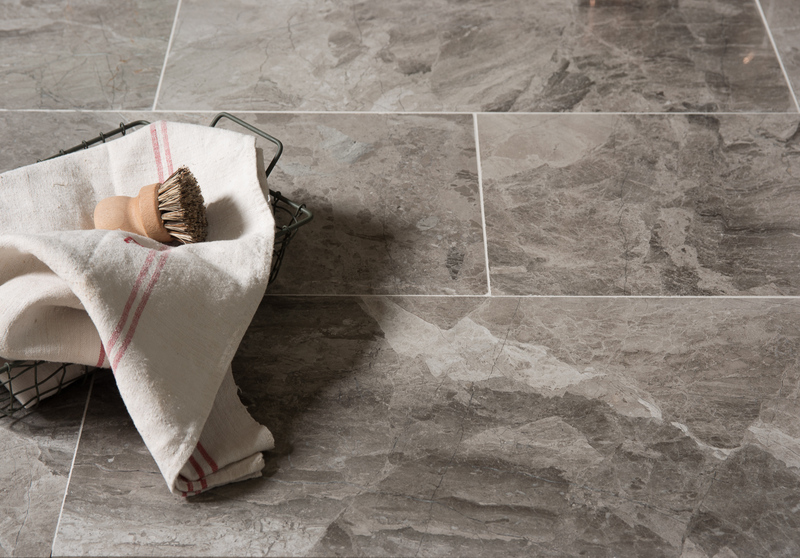 If you are looking for a finish with slightly more texture than honed tile, brushed may be the perfect alternative. This effect is created by the stone being brushed with a steel comb. This helps to enhance the natural colour of the stone and add an extra bit of texture. A brushed finish can be an excellent choice as it maintains the practicalities of a honed finish, however, with a little more detail. This gives the stone more of an authentic look, rather than contemporary. 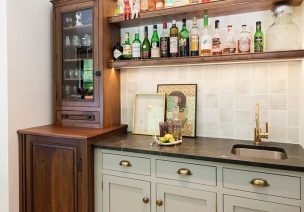 This finish is the perfect solution for those looking for a stone that is a bit smoother than tumbled, yet has a more rustic feel than honed. 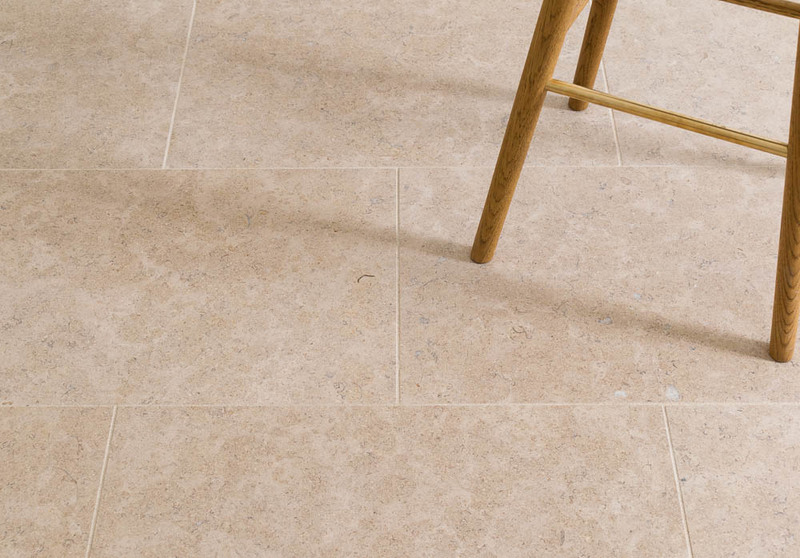 A tumbled finish is ideal for anyone looking to add a rustic feel to their home. You might notice that our tumbled floors are more textured towards the grout lines, replicating aging. This adds a beautiful antique feel to the floor. 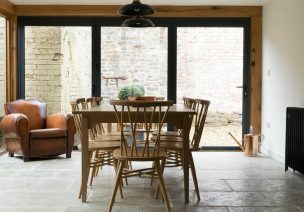 This can be a great option if you are looking to salvage the authenticity of a period home, yet still want to maintain the charm of an aged floor. Or, if you are simply looking for a rustic finish to add an extra bit of detail to your living space. 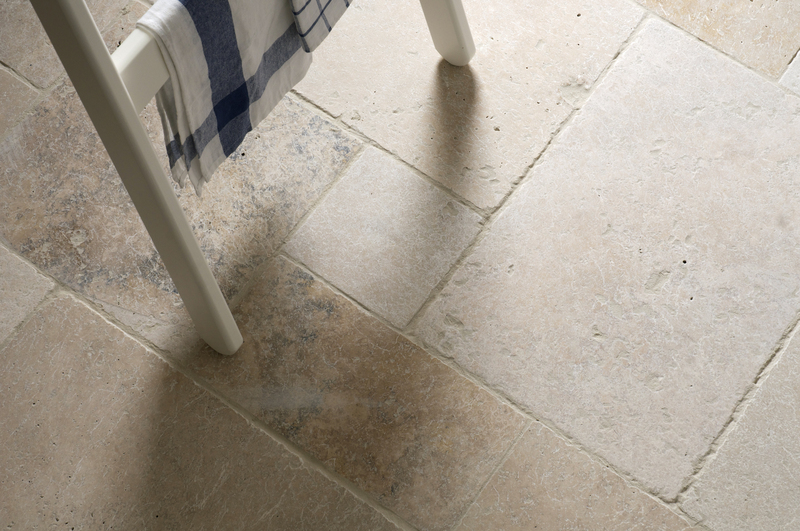 The tumbled finish replicates a traditional stone floor beautifully which makes it a hit with our customers. 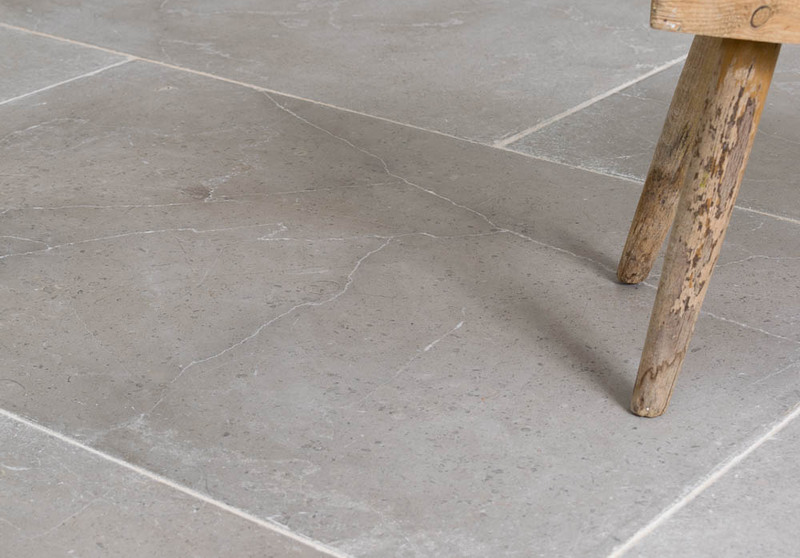 Our tumbled finish is one of our most popular styles of flooring and is loved for its ability to add a touch of character to any home. 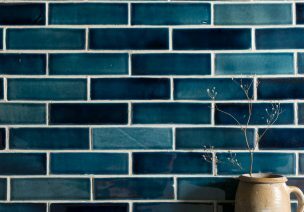 If you have been inspired to choose either polished, honed, brushed or tumbled finish, you can order samples here. Or, if you would like more information, you can speak to one of our friendly advisors on 01509 234000 or email enquiries on: enquiries@floorsofstone.com.